I am sure every home owners had already purchased a Fire protection insurance for their home, which brings us to the 3rd feature of Teviron. 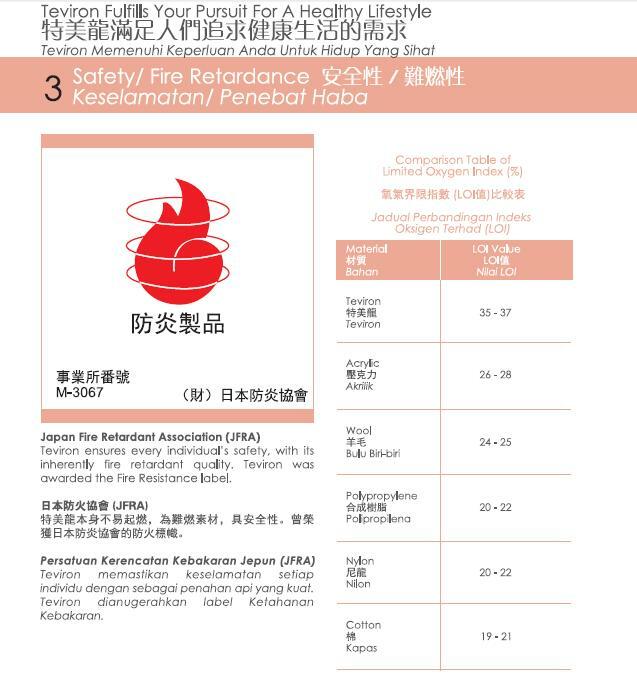 Teviron has been certified by the Japan Fire Retardant Association as shown in below certificate. Personally I have tested by taking a sample cloth and put it over a naked flame, true enough it did not catch fire. I am very confident that I will be very safe should a fire breakout as I have more than 1 Nefful blanket at home. : ) Interested to find out more, do contact me for more information and check out how you too can own this wonderful technology imported from Japan.